Katsunori Hamanishi’s exhibition is being held at the State Museum of Oriental Art. 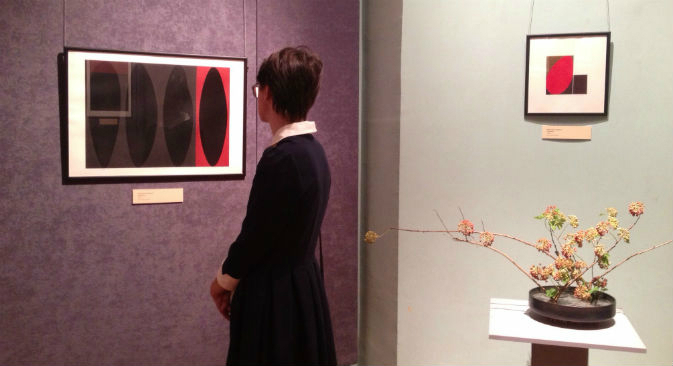 Renowned Japanese artist Katsunori Hamanishi’s mezzotint exhibition opened at the State Museum of Oriental Art in Moscow this month. “Japanese graphic art is one of the most interesting phenomena in the art world, and Hamanishi is one of the best mezzotint printmakers,” says Galina Shishkina, curator of the exhibition. Although there are mechanical ways of making mezzotint pictures, Hamanishi has been manually producing his prints for more than 50 years, using the old-fashioned technique of printing on copper plates. Hamanishi represents the older generation of printmakers and uses various color accents in his prints. According to the curator of the exhibition, Hamanishi was really surprised by the growing interest for his pictures abroad. “But there is nothing strange here,” Shishkina says. “For a Japanese audience, such pictures are just simple art materials, which are generally based on a traditional cultural concept.” She adds that for foreigners, these images represent the colors and culture of Japan. Shishkina says Japanese art is still the most popular Asian art among Russian audiences. “We can say that Japanese art is always trendy in Russia,” says Aynura Jusupova, Head of the Print Department of the Pushkin State Museum of Fine Arts. She adds that Japanese exhibitions are very popular with the museum’s visitors. “Russians have a positive impression of Asian art in general and view it with a natural childlike curiosity,” says Andrey Martynov, President of Moscow Biennale Art Foundation. Hamanishi’s exhibition, which is supported by the Moscow Biennale Art Foundation, will be held at the State Museum of Oriental Art until the end of July.